On Monday, January 23rd at 1:00pm ET, join Brandon Danz, Senior Associate, OPEN MINDS for this free webinar on improving comprehensive care management for your consumer population. Unmet human service needs such as housing, transportation, and domestic violence are common among complex consumer populations and are a major cause of avoidable utilization and poor health outcomes. Human service needs can be identified and effectively treated in comprehensive care management models. You are invited to join OPEN MINDS senior associate, Brandon Danz, for this coffee break case study that explores strategies to improve comprehensive care management for your complex consumer population. This webinar session is free courtesy of OPEN MINDS. Interested in becoming a OPEN MINDS Circle member? Upgrade your organization today! 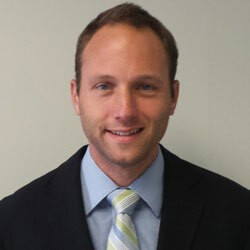 Brandon Danz, MHA, MPA brings extensive expertise in health care system and health program design, policy, and regulation to the OPEN MINDS team. Prior to joining OPEN MINDS, Mr. Danz worked as a Special Advisor to the Secretary of the Pennsylvania Department of Human Services. In this role, he was involved with key initiatives in health care reform within the Commonwealth of Pennsylvania. His expertise includes developing population health care management strategies to address the needs of “superutilizer” Medicaid enrollees, public sector human services administration, and proposal and grant writing. Registration for this executive web briefing is free courtesy of OPEN MINDS.